This gum is an all natural supplement formulated with more than 13 unique herbs which contain breast enhancing properties. This product works by balancing the body’s hormones. It also contains phytoestrogens which stimulates the body to produce breast tissues. Users claim to have an increase breast size of ½ to 2 cups within 3 months and continued use gives up to 3 cup size increase. 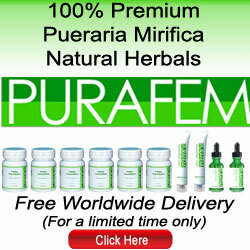 This product is from China and is formulated with 6 unique, breast enhancing herbs: Pueraria Mirifica, Wild Yam, Damiana, Salvia, Tribulus Terrestris, and Papaya protein. The breast enhancement patch can help increase breast cup size by increasing the amount of mammary cells in a matter of 2-6 months of use. The breast enlargement cookies are made by a company in Japan called F-Cup. The cookies contain 8 amino acids but more importantly for breast growth, 50mg of Pueraria Mirifica. They come in two flavors, Plain and Chocolate. Each box contains 24 cookies and it is recommended that you eat 1-2 per day. This type of music is created by a Japanese cognitive Scientist, Dr. Hideto Tomabechi, which he called “Rock Melon”. In an episode at Discovery Channel, he claims that the ringtone could enlarge the breast size when a person listened to the ringtone 20 times a day over 10 days. Results showed this could increase up to 3 centimeters of breast size.